To our US readers, Happy Thanksgiving. To our international readers, happy Thursday? Today’s lesson comes from Dave “Rock” Jacobs, the head of Fairfax Jiu Jitsu in Herndon, Virginia. Through our journeys, we had the pleasure of meeting and working with Dave on numerous occasions. 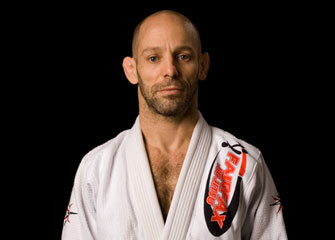 “Rock” as he is lovingly called, is one of the most humble and welcoming individuals in the east coast BJJ community. His academy is about 30-45 minutes outside of the Washington DC area. If you ever get a chance, go visit his gym. Dave has a ton of top level guys training their consistently including Abmar Barbosa. In addition, while you are there, don’t forget to stop in and shop at NHB Gear’s Flagship store.